Self assessment is a very well-practiced culture in most of the modern industries and academic curricula as well. It is kind of a Employee Assessment Forms Performance Appraisal and self-appraisal which sheds light both on the confidence and understanding of the candidate. 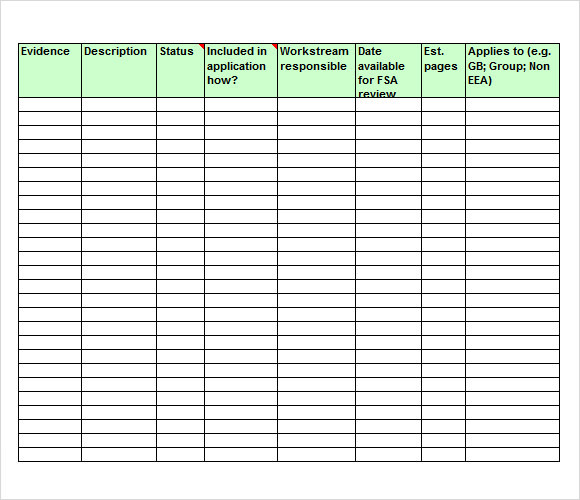 There are a lot of samples available for free downloads all over the internet in printable formats like Word and Excel.You can also see Leadership Self Assessment Samples. Employee self-assessment template is a document generally used by businesses to help its employees in assessing their performance well. This template can be used by the firm for giving it to the employees and asking them to list their feedbacks on job specific knowledge and job specific skills that they possess. One can refer to this document for quick use without paying any undue costs. Self-assessment template insolvency is a document containing the points relating to the insolvency of a particular firm. This template includes points like the evidence, description, and the work stream responsible for the insolvency of this firm. This template is in format of a form wherein the user can fill in the causes that he thinks have led to insolvency of a firm. This template can be used by the insolvent firms when they are penning down the causes. It can be downloaded online for free use. 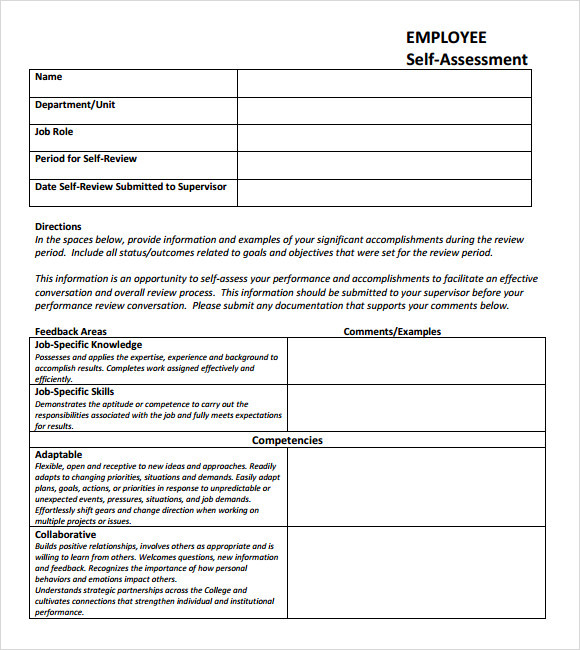 A self-assessment template is another interesting template that can be used by small businesses as well as large scale businesses in order to assess their firm’s performance. 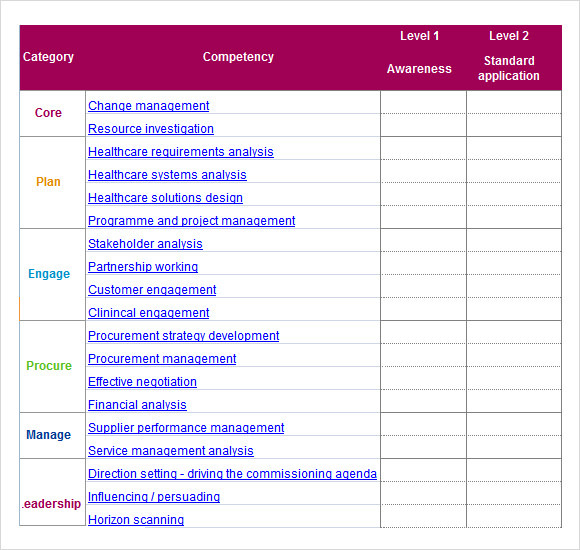 Available in Excel sheet, this template contains many tables that list the various categories on which a firm must be analysed as well as the competencies of these core categories. Further they can also fill in the points relating to category’s awareness as well as at the next level its standard application. A primary school self-assessment template is an efficient example of self assessment templates. 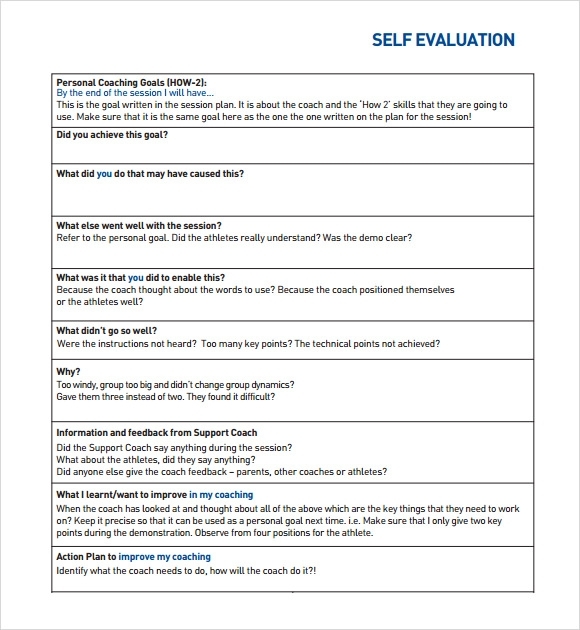 Listing the points relating to the assessment of a primary school, this template teaches the teachers the art o assessing oneself and then using ways and procedures for assessing oneself to work in a better way. Ideas relating to application of methodologies and induction of new learning are listed in this template. These points can be quite useful for teachers thus they can download this template to use it for the same purpose. 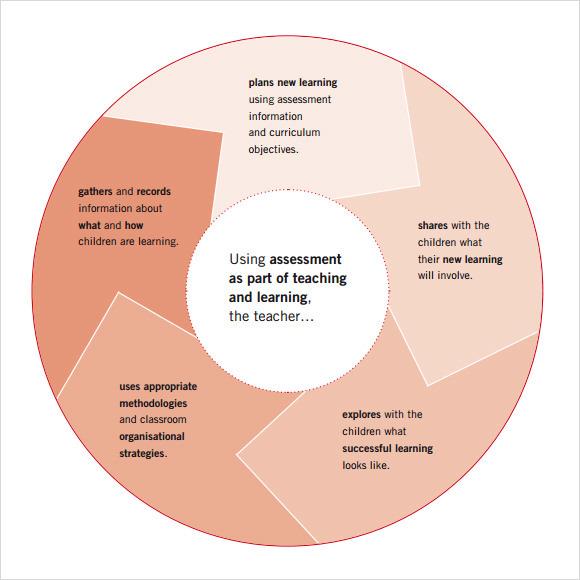 Why do we Need a Self-Assessment Template? A self-assessment template is a way out for helping a person, group or company to deal with any risk factors that surround their place of work. Self-assessment templates help them in understanding the cause and effects of risks that surround them. These templates get deep into the cause of risks and help one in coping with these risks. Self assessment is thus necessary to deal with risks and make them an opportunity instead of a setback. When do we Need a Self-Assessment Template? If we think our business endeavour is too risky a choice then we must refer to a self-assessment template. There are various templates listed in this portal containing varied self-assessment templates on varied domains. The domains like business, insolvency, etc. are listed in this template. 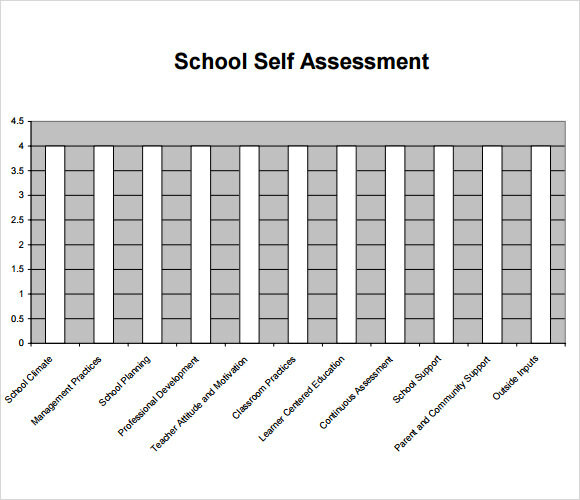 Apart from that, a school self-assessment is also listed in this template. Teachers can assess their teaching methodologies and improve them using the aid of these templates.You can also see Self Care Assessment Samples. What are the Benefits of Self-Assessment Templates? 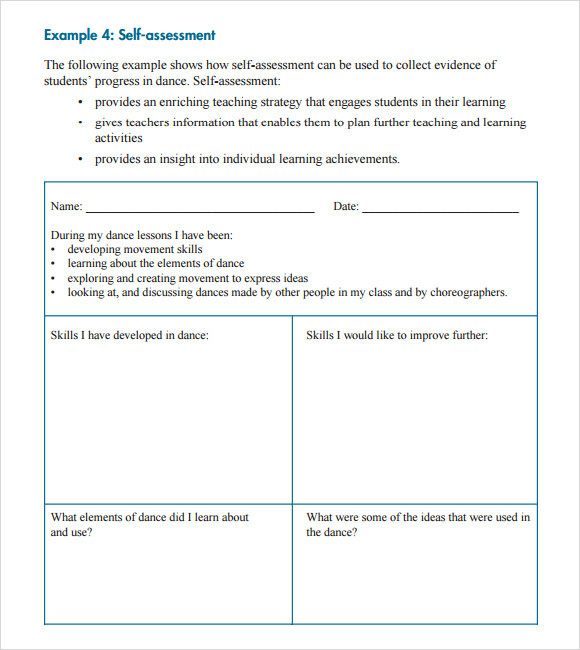 A self-assessment template carries a lot many benefits. For instance it helps a business organisation or an institution in managing itself and reflecting upon its endeavours. This template can be accessed for free use in formats like PDF, Excel for the convenience of the user. They are a popular variety of templates that can help one improving on the performance. 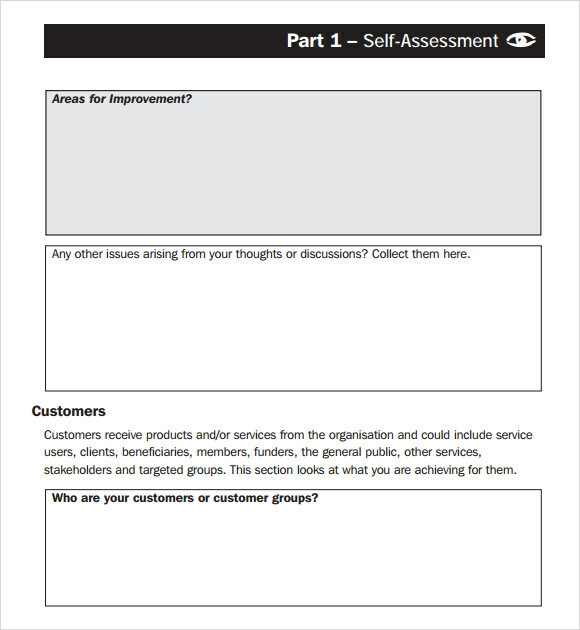 A self assessment template can be downloaded by the user online for the purpose of improving their performance. For that they can reflect upon their way of functioning at the same time they can check the cause and effects of the risks that these organisations are willing to take. 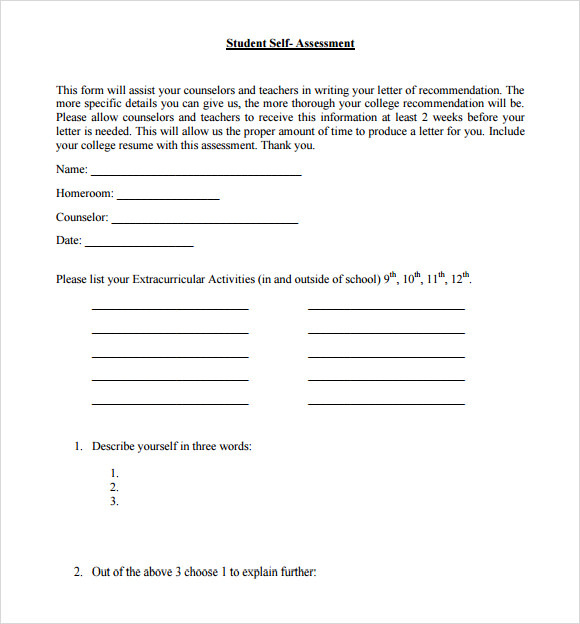 Thus these templates are reference documents that are a good medium of self-assessment. Structures of self assessment templates can vary widely based upon the domain they are designed for and we will customize them according to your purpose. For example, a corporate self assessment template may like Employee Assessment Forms are involve core technical skills, projects delivered, revenue incurred etc. while a student’s self assessment may have a completely different point of view altogether.You can also see Student Self Assessment Samples.